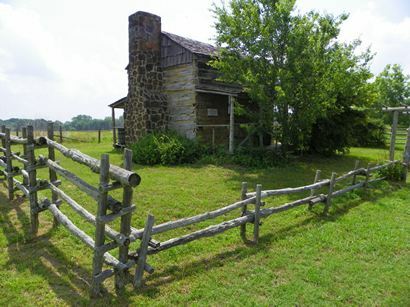 Fort Parker, Texas, and the saga of Cynthia Ann Parker. In May of 1836, less than two months after Mexican troops killed every defender of the Alamo, another massacre at a frontier garrison bloodied the Texas landscape. The incident left Texas with a slice of history almost as riveting as the Alamo. The murder, wounding and kidnapping of settlers by Indians at Fort Parker became the catalyst for the remarkable story of Cynthia Ann Parker, a child taken from the fort and raised as an Indian. 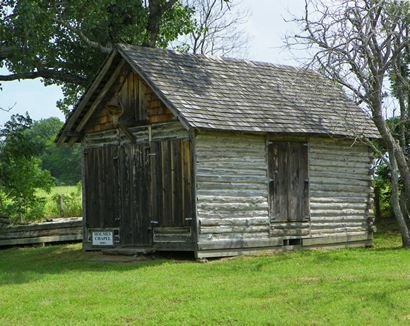 Fort Parker was founded by Elder John Parker and his three sons, Benjamin, Silas and James, and other families from the Predestinarian Baptist Church of Crawford County, Illinois. 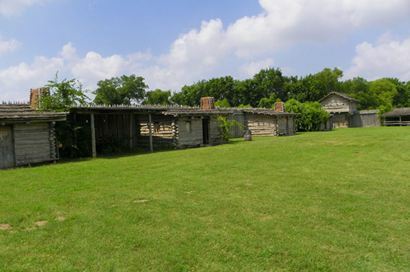 Traveling by ox-drawn wagons, they came to Texas in 1833, settled along the Navasota River, and built Fort Parker for protection against Indians. 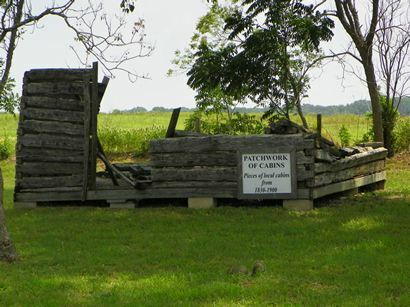 Completed in March of 1834, the stockade's walls were constructed of split cedar logs buried in the ground and extending up 12 feet with sharp points. 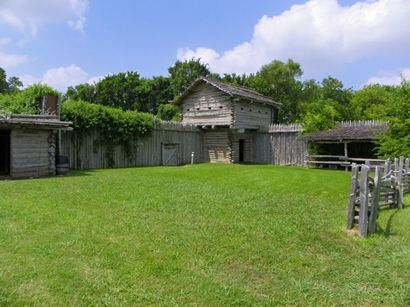 Inside the walls were two-story blockhouses, rows of log cabins for living quarters, and a livestock corral. The Parkers and other families moved inside the compound and began farming outside the walls. Since there had been no Indian troubles, they felt so secure they left the fort's gates open so workers could come and go with ease. 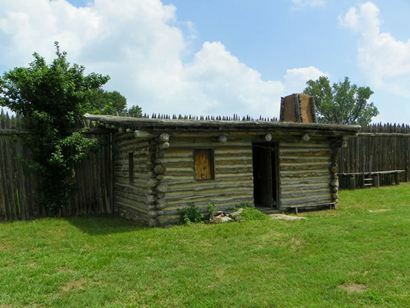 But on May 19, 1836, while the men worked in the fields and the children played inside the fort, more than 100 Indians -- Comanche, Kiowa, Caddo and Wichita -- appeared at the gates with a white flag of peace. 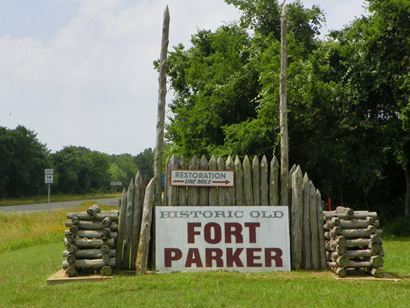 Benjamin Parker left the fort to talk to the warriors, who told him they wanted a safe place to camp and some beef. As Parker returned with beef, the riders surrounded him and killed him with their lances. 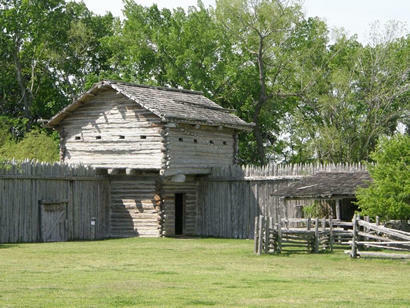 Before the gates could be closed, the raiders rushed inside the fort, and killed Elder John Parker and his son Silas. As the men in the fields rushed to the fort, the Indians escaped with two women and three children. Behind them, five settlers lay dead and others were wounded, some of whom died later. 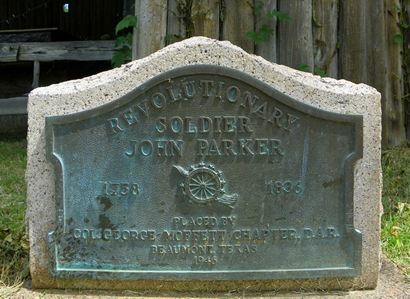 The next morning the 21 survivors, led by James Parker, started for Fort Houston near present-day Palestine. It took six days to travel the 60 miles. The two captured women and one of the children were soon ransomed and returned to the Parker family. But Cynthia Ann Parker, 9, and her brother John 6, both children of Silas and Lucy Parker, were kept by the Comanches. John became a Comanche warrior, married a Mexican captive, and settled on a ranch in Mexico. Cynthia Ann became the most famous of the captives. She was adopted by a Comanche family, her named changed to Naduah, and resisted ransom several times. In her teens she married Comanche chief Pete Nocona and had three children, one of whom became Chief Quanah Parker. In the winter of 1860, a group of Texas Rangers led by Captain Sul Ross attacked an Indian camp along the Pease River in the Texas Panhandle. Cynthia Ann Parker and her daughter Prairie Flower were caught trying to escape. Noticing her blue eyes, Ross knew Cynthia Ann was not an Indian and sent for her uncle Isaac Parker, who identified her. The former hostage was returned to her family in East Texas, but could not adjust to the white man's ways. She died in 1864 at the age of 37, six months after the death of Prairie Flower. Both were buried in Fosterville Cemetery near Poynor. 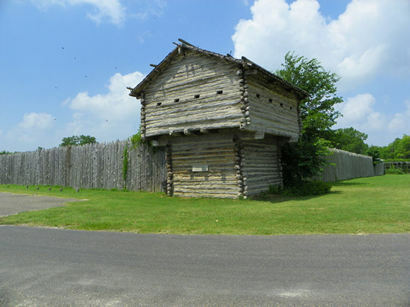 Old Fort Parker - where the Cynthia Ann Parker saga began -- was reconstructed and is now operated as a state historic site.